Managing Director of Mann Engineering Rolf Fuhrmann attended the Pendulum Summit held in the National Convention Centre in Dublin recently. 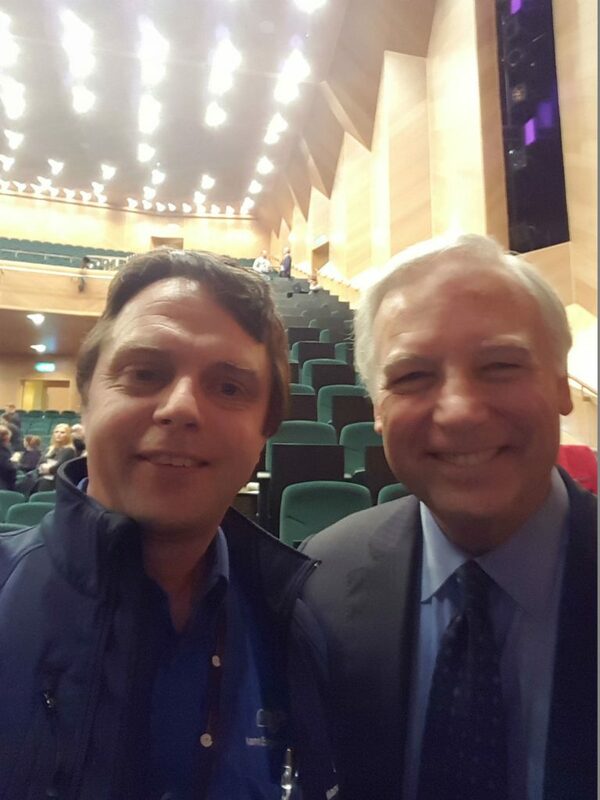 Amongst the line up of world renowned speakers was Jack Canfield America’s # 1 Success Coach. From Jack’s Bio on his website. As the beloved originator of the Chicken Soup for the Soul® series, Jack Canfield fostered the emergence of inspirational anthologies as a genre – and watched it grow to a billion dollar market. As the driving force behind the development and delivery of more than 123 million books sold through the Chicken Soup for the Soul franchise (and over 500 million copies in print worldwide), Jack Canfield is uniquely qualified to talk about success. Affectionately known as “America’s #1 Success Coach,” Jack has studied and reported on what makes successful people different. He knows what motivates them, what drives them, and what inspires them. He brings this critical insight to countless audiences internationally–sharing his success strategies in the media, with companies, universities and professional associations. His proven formula for success reached global acclaim with his most recent National Bestseller, The Success Principles: How to Get From Where You Are to Where You Want to Be. This new standard in self-improvement contains 64 powerful principles for success utilized by top achievers from all walks of life and all areas of commerce. The Success Principles–and the entire empire of “Principles” books, products, coaching programs and branded retail merchandise is Jack’s most recent offering to the more than 100 million readers he currently reaches worldwide. Jack is a multiple New York Times bestselling author. His other best-selling books – The Power of Focus, The Aladdin Factor, Dare to Win, You’ve Got to Read This Book!, and The Key to Living the Law of Attraction, have generated millions of bookstore and Internet sales, and have launched complementary products such as audio programs, video programs, corporate training programs and syndicated columns to enthusiastic individuals and corporate buyers. His audio program, Maximum Confidence, has sold more than 350,000 copies through Nightingale-Conant alone. Jack’s latest publication Tapping Into Ultimate Success: How to Overcome Any Obstacle and Skyrocket Your Results which features a revolutionary cutting-edge technique to make achieving success easier than ever before. A must read for those who are seeking to transform their lives and take action today! Jack is the founder and former CEO of Chicken Soup for the Soul Enterprises, a billion dollar empire that encompasses licensing, merchandising and publishing activities around the globe. Jack’s nationally syndicated newspaper column is read in 150 papers worldwide, and the Chicken Soup for the Soul radio shows are syndicated throughout North America. Chicken Soup for the Soul has also been a featured television program on both the PAX and ABC networks. Jack Canfield holds the Guinness Book World Record for having seven books simultaneously on the New York Times Bestseller List. He also holds the Guinness Book World Record for the largest book-signing ever for Chicken Soup for the Kid’s Soul. And he’s the only author to have won both the ABBY (American Booksellers Book of the Year) Award and the Southern California Book Publicist Award in the same year – honoring him as both an outstanding writer and a consummate book marketer.